ISO 22000 enlists the specific requirements of food safety management system thus ensuring food safety till the final point of food consumption. 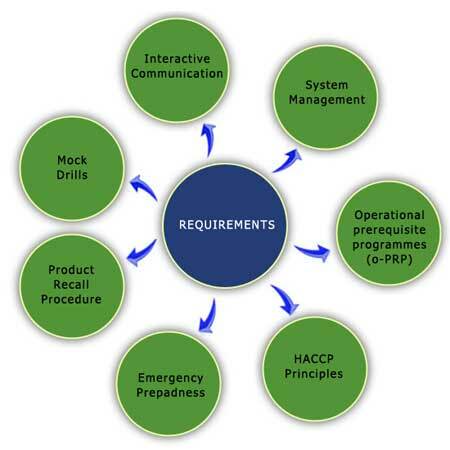 The implementation of ISO 22000 certification will make it way easier for the organizations for effective implementation of the Codex HACCP (Hazard Analysis and Critical Control Point) system for food hygiene. ISO 22000 is actually associated with ISO 9001 to increase the compatibility of food safety management system. So, we offer expert help for ISO 22000 certification. All types or organizations such as primary producers, food manufacturers, feed producers, transport and food service out-lets etc.